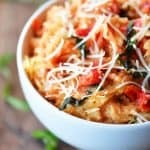 This Instant Pot Tomato Basil Spaghetti Squash recipe is mainly vegetables! It’s healthy, flavorful, filling, and gluten free. I finally got an Instant Pot and it’s been sitting in the box waiting to be opened. I’m not sure why but I was nervous to try it but decided to get over it and make something. To my surprise, it was so easy to use and it turned out great. 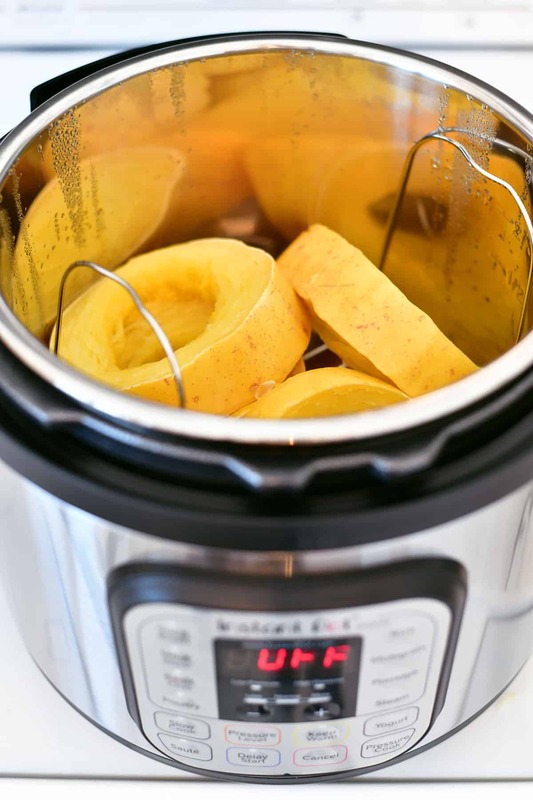 So when I spotted my spaghetti squash on the counter, I thought why not try making it in my Instant Pot. 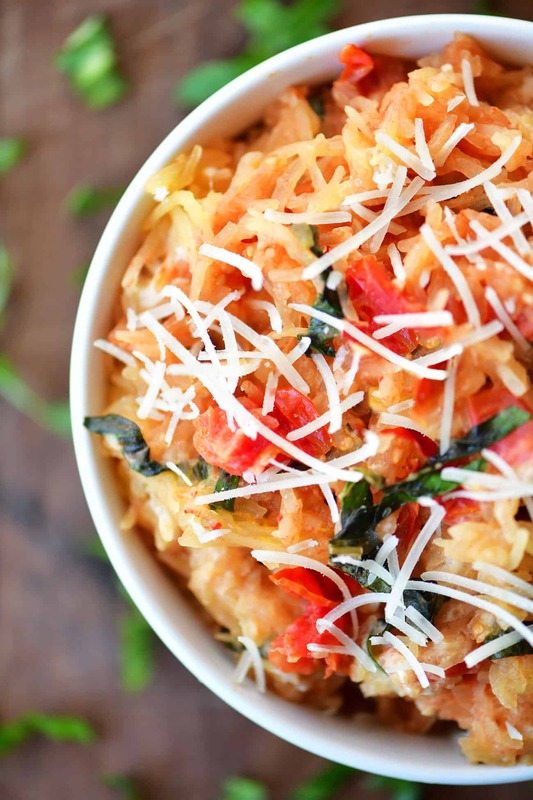 This recipe for Instant Pot Tomato Basil Spaghetti Squash is super was to make and is perfect for lunch or dinner! 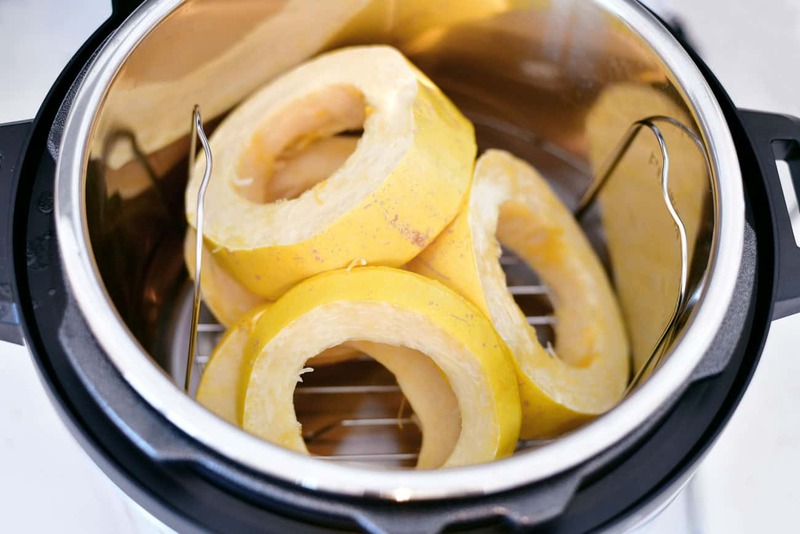 For this recipe, I cut the spaghetti squash into rings. That way the spaghetti squash is longer strands. After cutting it, remove the seeds and stringy pulp. The spaghetti squash is hard to cut so I like to soften it a little by cooking it in the microwave for 2-3 minutes first. Just stick the whole thing into the microwave and cook it briefly. No poking holes or anything. Put the rack into the Instant Pot and add one cup of water. Then, add the spaghetti squash rings. Turn the vent to sealing. Press Pressure Cook on high pressure (or Manual on some Instant Pots) and set the timer for 8 minutes. Once it’s finished cooking, do a quick pressure release. Open the lid and remove the cooked spaghetti squash. Use a fork to remove the strands of spaghetti squash. Set the Instant Pot to saute. Add the olive oil and minced garlic. Saute for a couple of minutes. Add the sliced grape tomatoes and saute until softened. Add the cooked spaghetti squash and stir to coat with the cooked tomatoes. 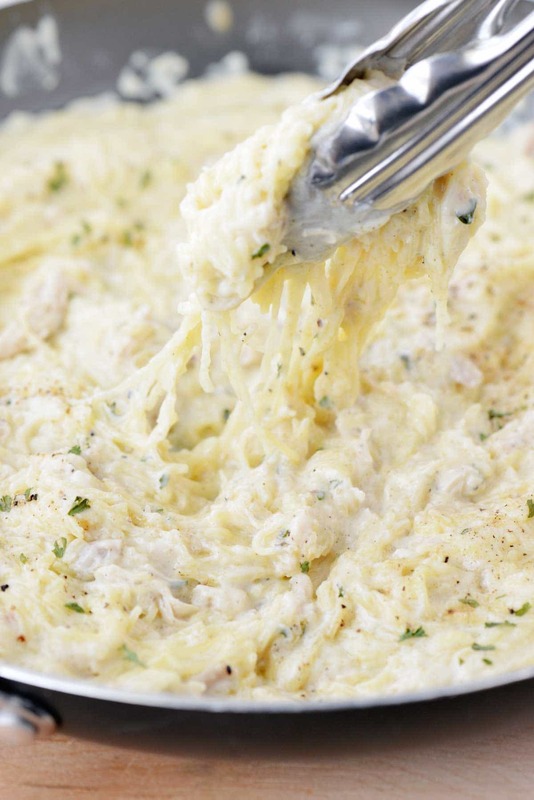 Add the whipped cream cheese, shredded Parmesan cheese, and chopped basil. I’ve been eating this Instant Pot Tomato Basil Spaghetti Squash all week. It’s flavorful, filling, healthy, and perfect for lunch. 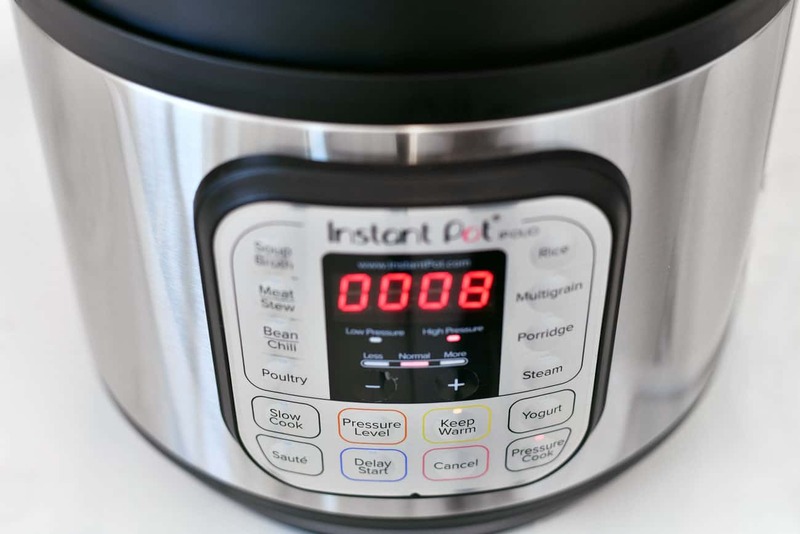 Don’t worry if you don’t have an Instant Pot, I’ve got you covered! You can buy an Instant Pot like I have here. Or you can cook your spaghetti squash in the microwave with this recipe of mine and do the sauteeing on the stove. 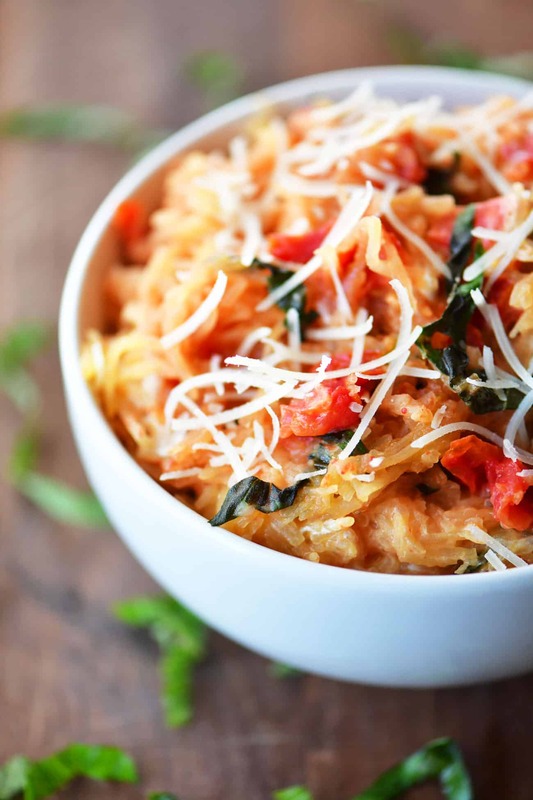 This recipe for Instant Pot Tomato Basil Spaghetti Squash is mostly vegetables, healthy, flavorful, and gluten free. 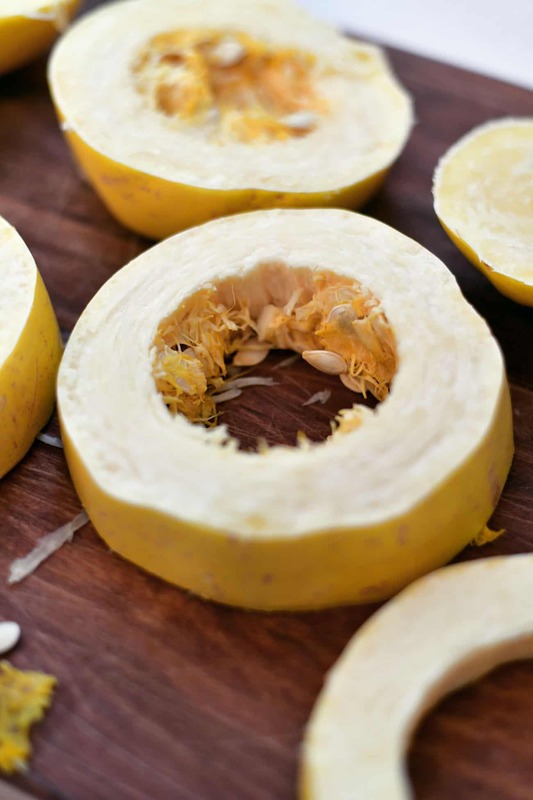 Cut the spaghetti squash into rings and remove the seeds and stringy pulp. 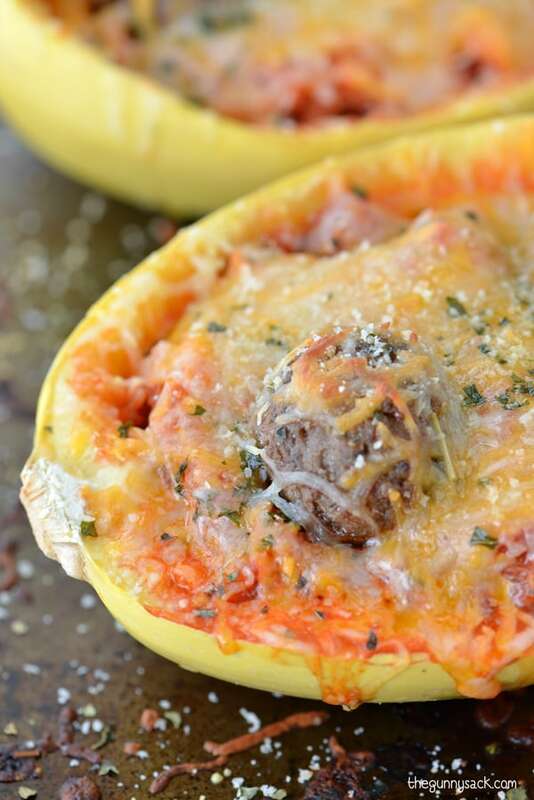 You can soften the spaghetti squash in the microwave for 2-3 minutes before cutting it. Put the rack into the Instant Pot (this is the one I use) and add one cup of water. Then, add the spaghetti squash rings. Add the cover and turn the vent to sealing. Press Pressure Cook on high pressure (or Manual on some Instant Pots) and set the timer for 8 minutes. Once it’s finished cooking, do a quick pressure release. Open the lid and remove the cooked spaghetti squash. 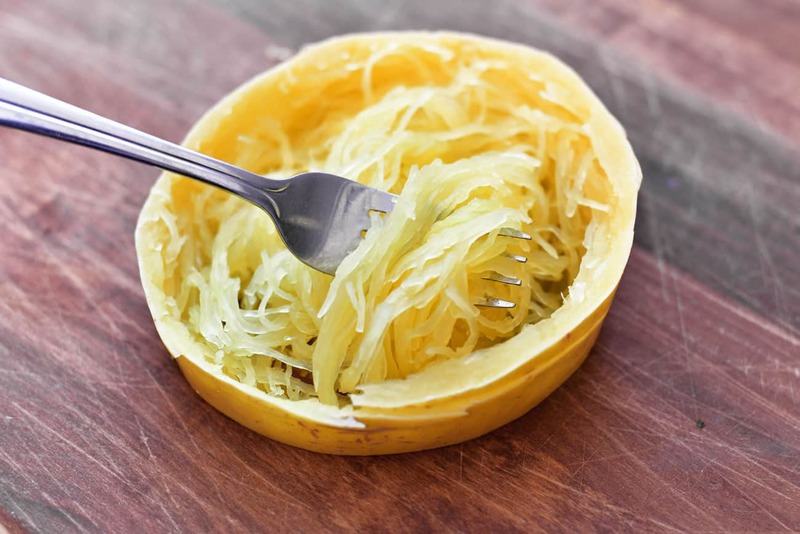 Use a fork to remove the strands of spaghetti squash. 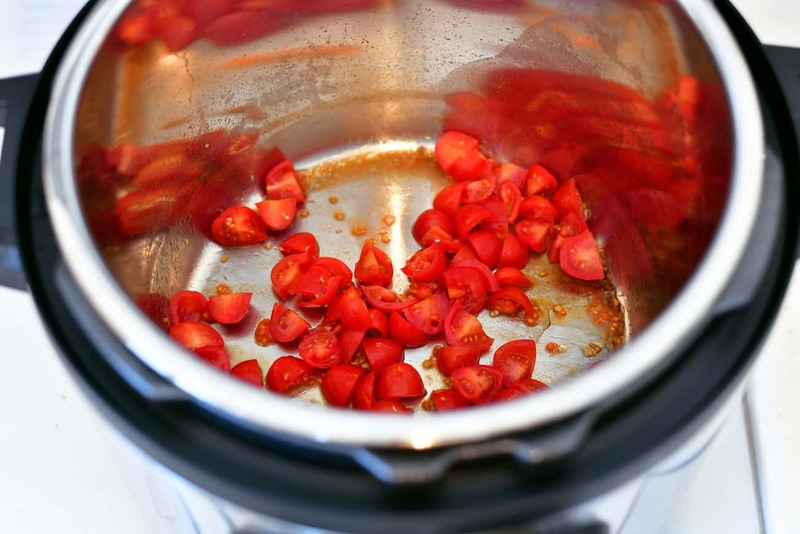 Set the Instant Pot to saute and allow it to heat up. Add the olive oil and minced garlic. Saute for a couple of minutes. Add the sliced grape tomatoes and saute until softened. Add the cooked spaghetti squash and stir to coat with the cooked tomatoes. Add the whipped cream cheese, shredded Parmesan cheese, and chopped basil. Toss or stir to combine. Where Is the serving size located? If you click on the serving size a slider will appear and you can change the number of servings you need and the ingredient measurements will change too. 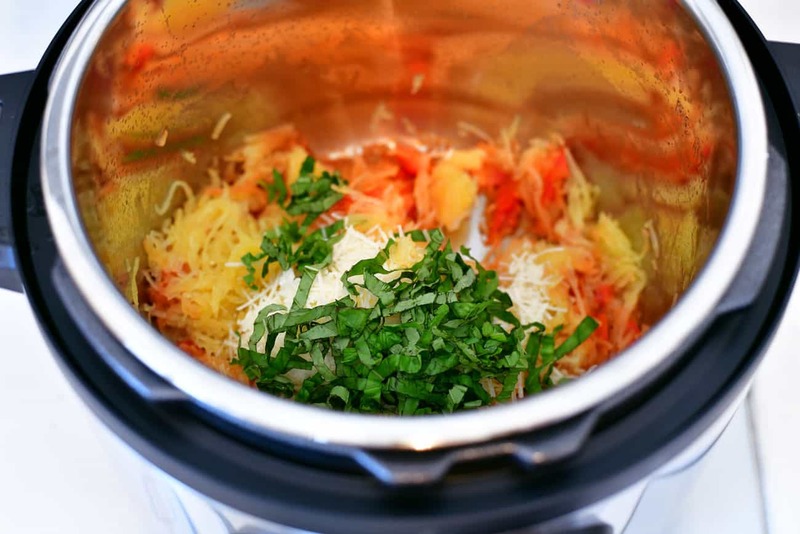 I love this recipe for instant pot spaghetti squash……….it is so quick and easy and delicious. Yummy, this seems delicious and I’ll sure try it! Do you think muzzarela works as well as parmesan in this recipe? Yes, you could use mozzarella instead. The parmesan has more flavor and more salt so it will taste different but still good!